What do you tow your T with. If It's a PU what make, 1/2 T, 3/4 T, 1 T, Suv? which one. If you were to change...to what? Gasoline or Diesel? Open Trailer or closed. Jerry. 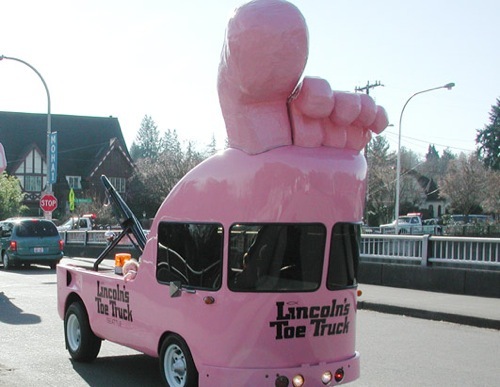 A Toe Truck or course. I have a 16 foot enclosed trailer with extra height so I can drive the T in with the top up. 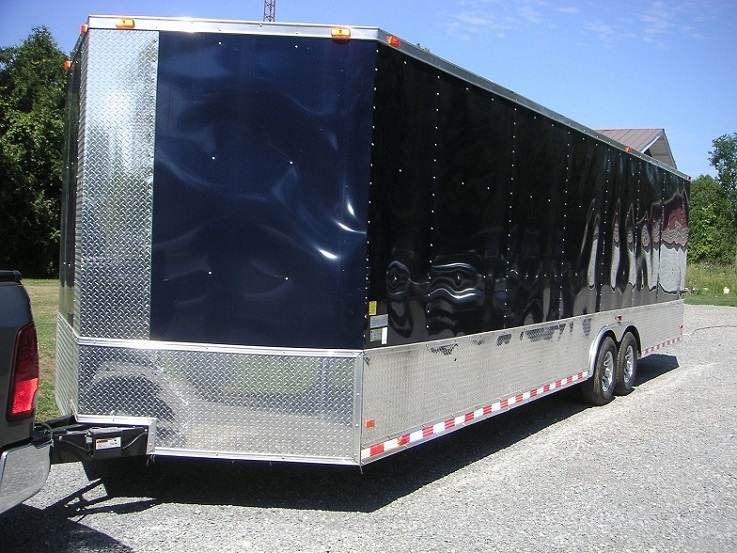 An enclosed trailer makes a secure garage to store your T at night and a dry place to work on it if you have to. My truck is a 1/2 ton Chevy with a 5.3 liter engine. If I were to do any thing different I would get an extended cab or 4-door model. We have a Chevrolet Suburban, 1/2 ton, 5.7 V8 gas engine. 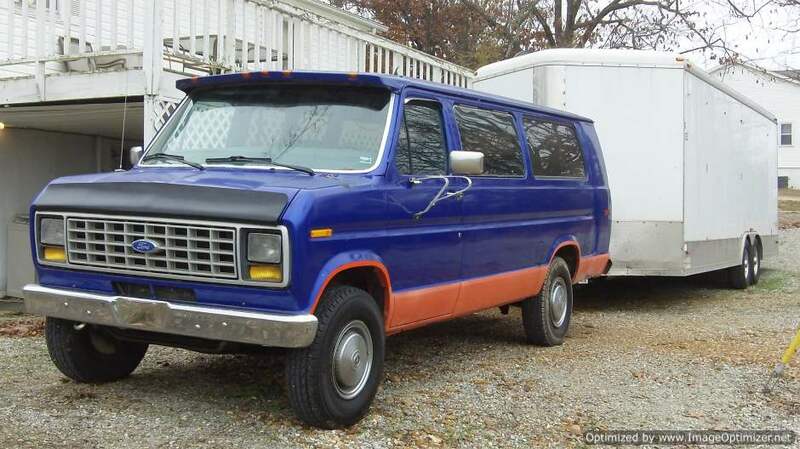 This is our 4th Suburban, and since we are getting up in age, this will probably be our last one. 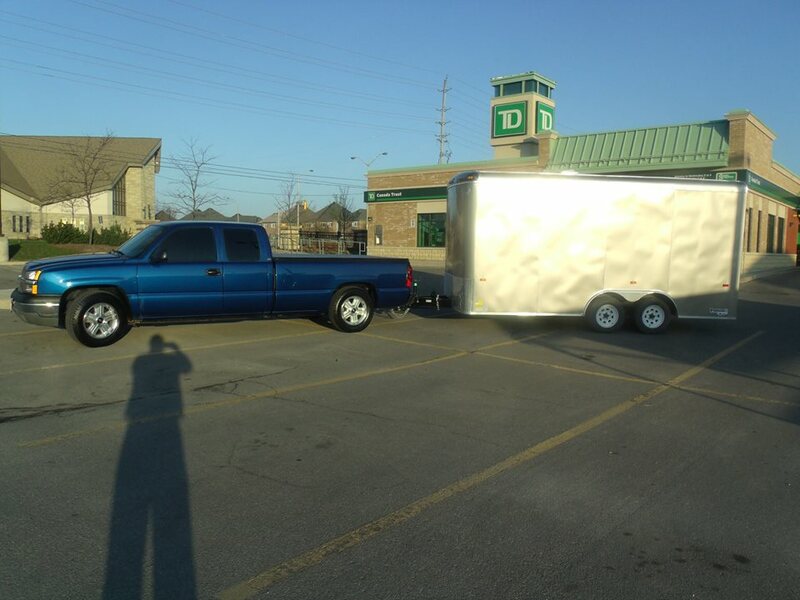 Our trailer is a 20' x 8.5' wide, with enough height for our '14 Touring to go in with the top up. It all works fine, except that I'd like the extendable outside rear view mirrors for better visibility. I'm still driving my '97 Ford F150 XLT...small V8, it's getting a little tired, but she's been so dang faithful to me, I hate to get rid of her. Not a speck of rust on her, I finally bought Jack Putnam's 8.5 x 16 enclosed trailer, best thing I did since I bought "Pete" the '12!! 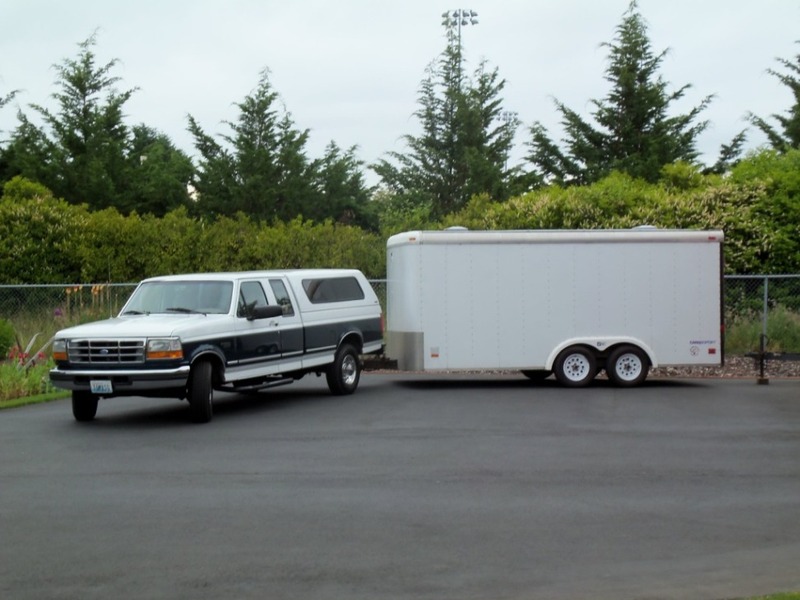 Ford E-250 Van V8 20 ft 8ft tall trailer. 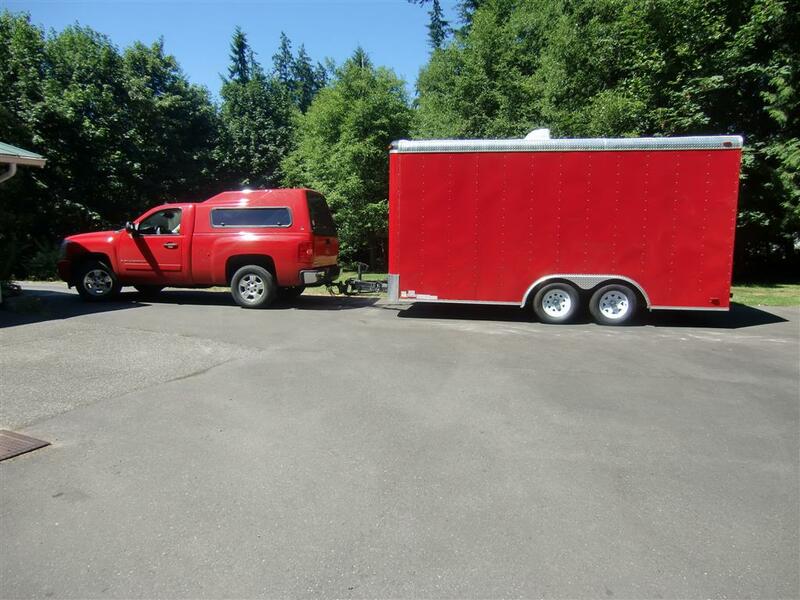 Different, Yeah next trailer will have an A/C and sleeping quarters so I can use a pickup. I've towed with both an S-10 (4.3 V6 with 5 speed) and a Chevy 1/2 ton extended cab (5.3 V8 and auto). My preferred towing vehicle now is Class C motor home with a V10. 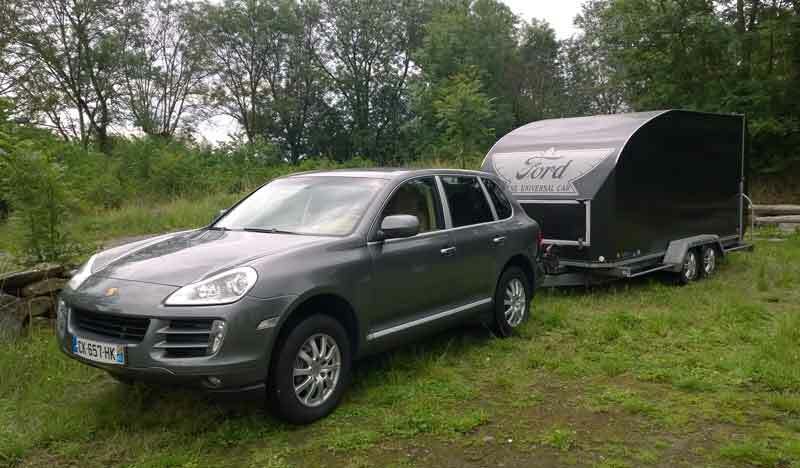 In all cases the trailer has been an open 6x12 single axle flatbed with electric brakes. In 25 years I've had 2 blowouts on the trailer, one each when towing with the S-10 and half ton. Neither was exciting, just pulled over and changed to the spare. A covered trailer would be nice to have but would take storage space I don't have. 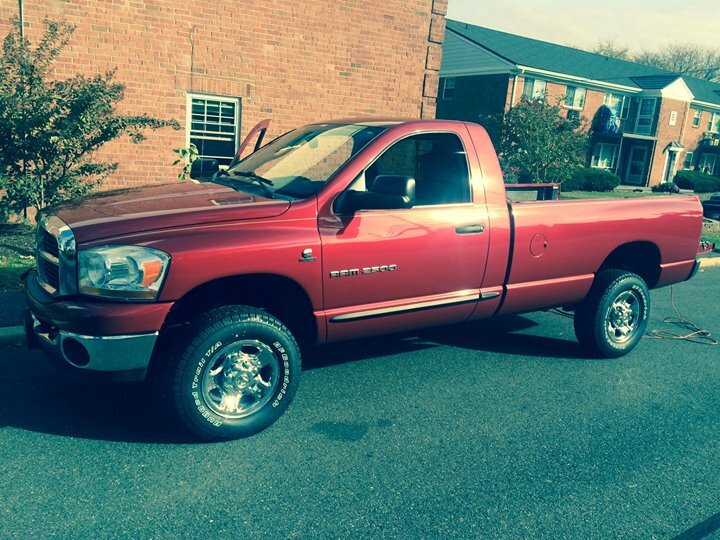 I use my 2006 Mopar with the Cummins engine. 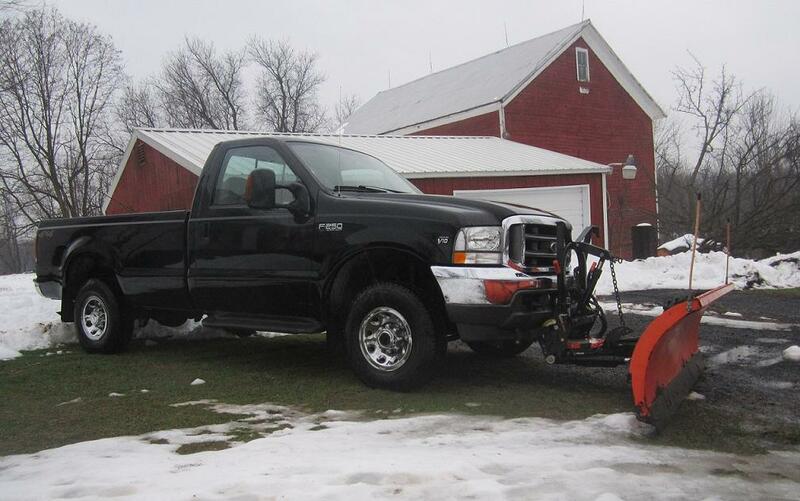 I tow with a 2004 Ford F250 six speed standard shift V10 that I ordered new. Love the truck, pulls anything with ease. My trailer is a 20 foot enclosed cargo mate. All four Carlise tires blew out and it has leaked since new. Would never buy another. 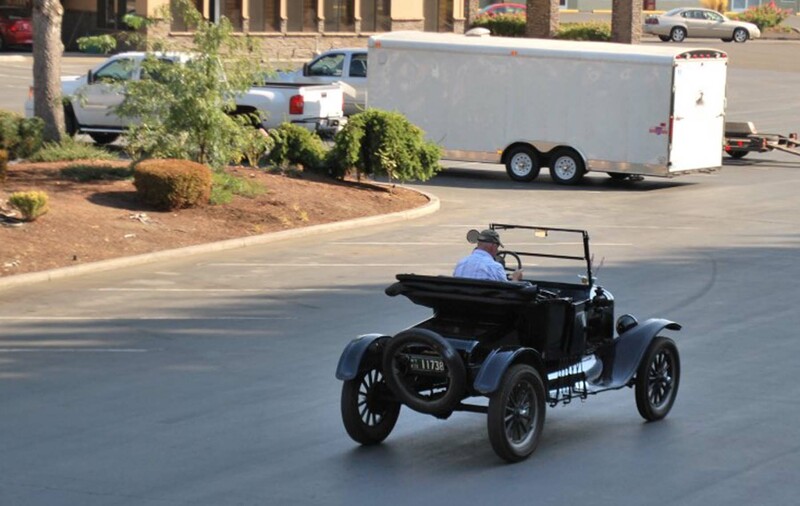 Many years ago, a local T-guy who has since died never used a trailer for his 1912 Torpedo. Instead, he had a long-bed pickup truck and managed to be able to drive his T into the back of the pickup. And with that, he hauled his T around. 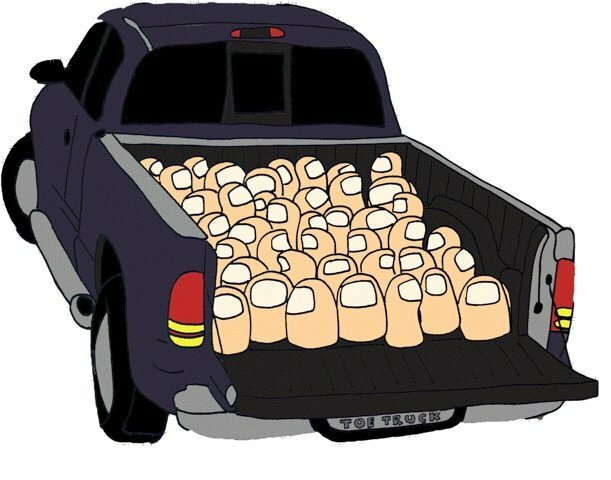 I never saw the rig, but apparently he had ramps, of course (LONG ramps), and something for the T to get up and over the rear wheel well/humps in the pickup bed. If I were to do something like that, I'd remove the pickup bed and install a flatbed. For that matter, a small roll back would be ideal. But I still like the idea of an enclosed trailer. Not only does it provide storage when on tour, but it can be a spare garage at home, too. Since i only have one it has to do everything! 4wd F 250 crew cab diesel The tail never wag's this dog!! Bud. Richard I love your enthusiasm, you are a true T man! This is what I have and am ready to down size, in fact I have been wrestling all this week on how to present it in the classifieds. 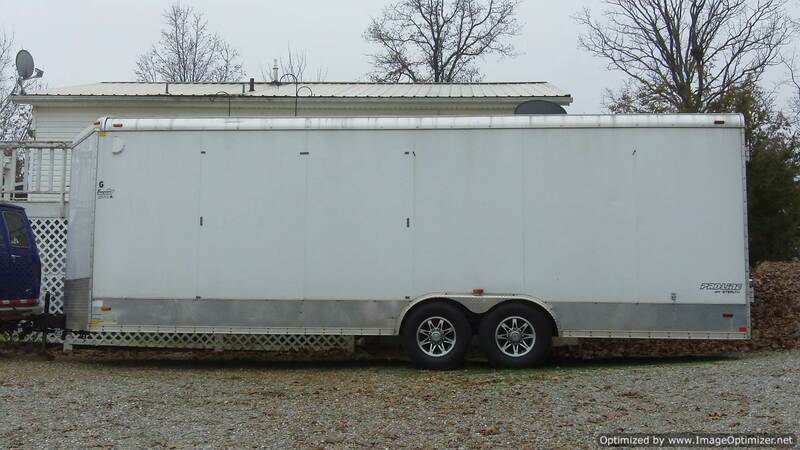 I missed a nice little trailer last week and this week I didn't want to step on Jim's toes while his trailer is up for sale. 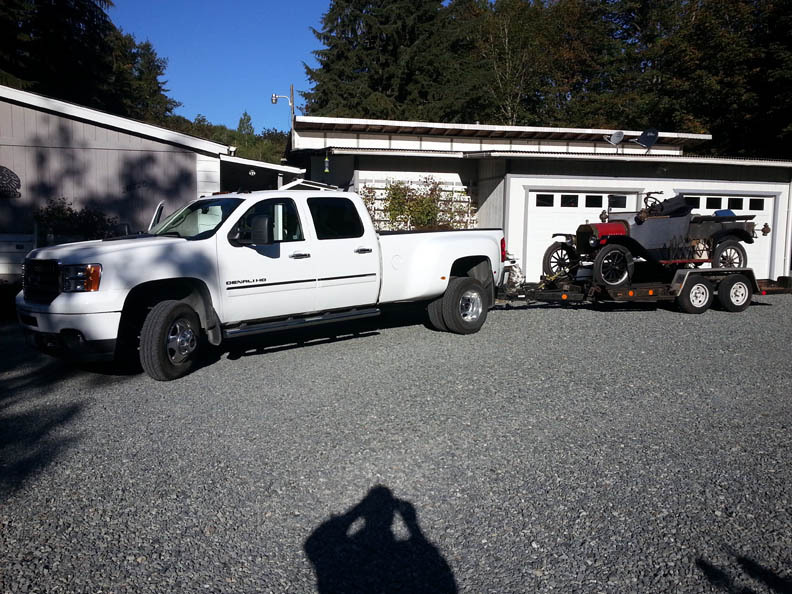 The trailer is tight and the truck is tired, but I want to get rid of both at the same time. Same truck as before but different trailer. This trailer is a 20 footer and I sure like the way my dual rear wheels handle it as opposed to the 3/4 ton I had before. I use a 2004 Expedition, heavy towing package, 4-wheel air bags. No longer made, so I guess I'll keep it as long as possible. Then, I guess an F150. NEVER keep a trailer tire for more than 5 years. Apparently the rubber mix used in trailer tires is stiffer than others, and harder, and it dries out and cracks in 5 years. This is especially true for the small tires used on boat trailers, which turn maybe 4 times faster than an auto tire, but it applies to full-size Trailer tires as well. And, since they are specially made for trailers, the implication is that automobile and light truck tires are different, and don't do as well on a trailer. They are made to flex sideways, to make riding and turns softer, and that becomes dangerous on a trailer, where the "wag the dog" syndrome can occur. I use my '97 Ford F250 HD, 7.3L Powerstroke Diesel, E4OD Trans. and Mac-Lander equipment trailer. 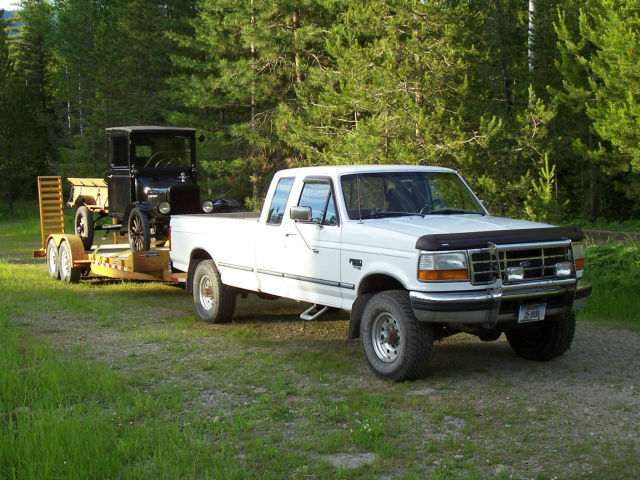 1996 F-250 - 460 GAS HOG - pass everything but a gas station !!! 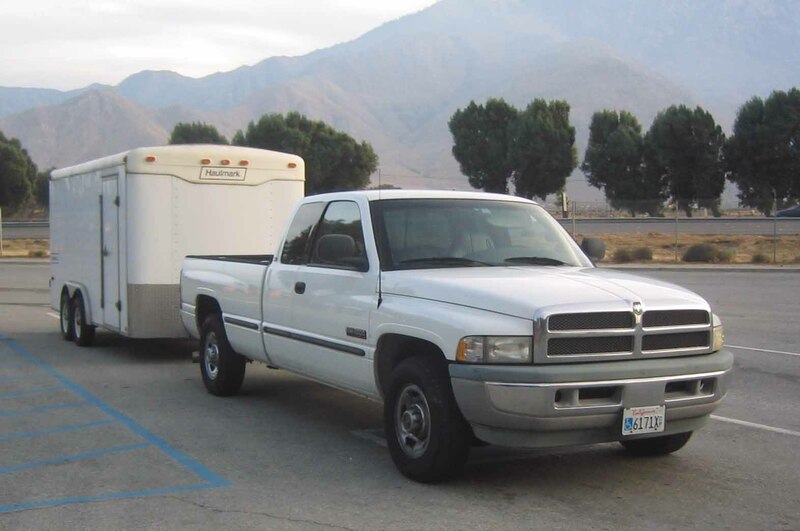 1999 Dodge four door with a Cummins diesel tows our 18 foot Haulmark trailer and our boats very well. It seats six and gets 19 miles to the gallon bare and 16 1/2 towing. I put a Banks kit on it and it blows 34 p.s.i. of boost. Since this picture was taken I blacked out all of the gray plastic, see below. Tell me again, what does one need a trailer for ??? Let me see, there was a 3 day tour in Kansas that I wanted to attend and didn't have a week+ each way for travel there and back. Possible to do, sure. Sensible for me, not so much. Walt, you goa come next September to Hays? Should be the third weekend. This should light up the computer even more than a discussion of electronic ignition systems - I tow an enclosed, 24-foot Featherlite trailer with a Volkswagen. The car is rated to pull 7700 pounds With my Model T and a one-lung Cadillac or a small '12 Buick, I'm just about there. The package tows beautifully, and i wouldn't know the trailer was there if it weren't for the slurping sound coming from up front. If I'm in a hurry, I get about 9-1/2 mpg on mid-grade; if I drive at 60 or less, I get between 11 and 12. By the way, my Volkswagen is a 2004 Touareg V-8; it's not your grandfather's beetle. 2004 2wd Silverado with a 5.3. Trailer is 8 1/2 x 16 with an extra foot of height. 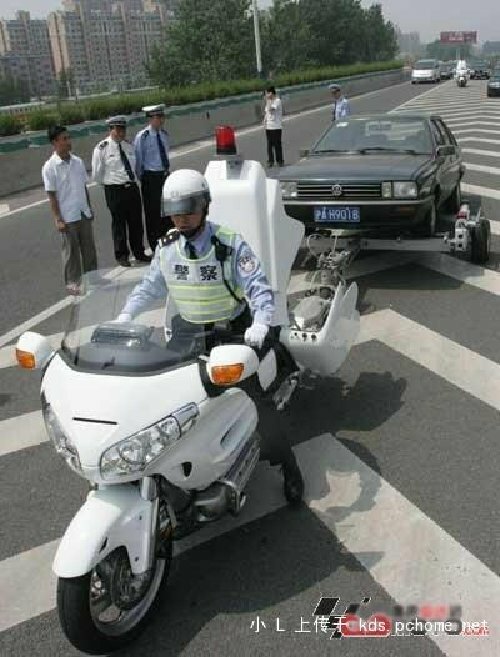 MR Fitzhugh,Sir can you please tell me what your Volkswagon Touareg Weigh's?? Thank you in advance-Bud. Bud, the Touareg weighs about 5500 pounds. Is that before or after you stop for cheese burgers? each way for travel there and back. Possible to do, sure. Sensible for me, not so much. Priorities, my man, priorities ! dark and grey and wet. And then suddenly my mind opened up and I was free ! anywhere without 300 days a year of overcast and rain. 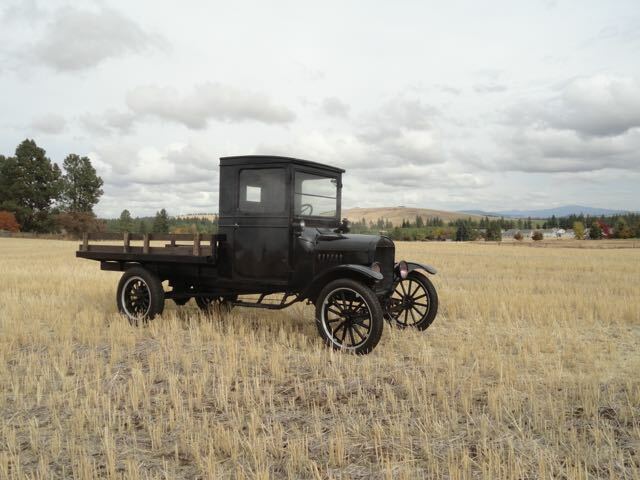 A modern enclosed car offers additional power and creature comforts over an open Model T.
I haul my model T's on a black trailer and tow it with my truck. It works pretty darn good that way. I get along OK with the '73 Suburban, but it's pretty thirsty. The best mileage I've gotten when towing was 11 mpg with a strong tailwind. OK....My tow truck is a 2002 Excursion, 7.3 diesel. My trailer is a 18' Wells Cargo enclosed. I get something like 14/15 MPG towing and 19.5/20.5 cruising. I've got 190,000 miles on my X so thinking about what my next tow truck is going to be. Can't decide. Cheers to all..... Jerry. Jerry,I like the full seating for 6 adults and we also have a 5'th wheel travel trailer.I have ridden in the Excursion and they are very nice if you don't have to have a pick-up!! Friend's have a 2011 F-250 super cab with the new diesel no glow plugs very quiet and almost unbeliveable power!!!!!!!!!!!!!!!!!!! Bud. Kenneth, my 2002 X uses the last edition of the 7.3 DI diesel, made by International. 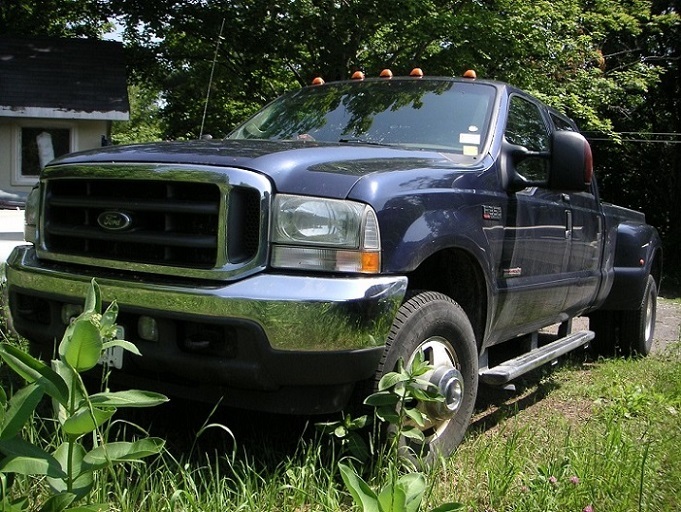 Later Ford diesels have greater torque and HP but the 7.3 can't be matched for reliability. It's a simple engine, 2 valves per cylinder, 1 turbo, and dual stage injectors. She rides with comfort and the 44 gallon tank gives me almost 900 miles driving range. Only problem is I need to take out a bank loan to fill it up. I'm toying with the idea of trading it off for what ever. My sweetie has her 2014 Caddie so every once in a while she'll let me drive it to cure my new car itch so.......we'll see. 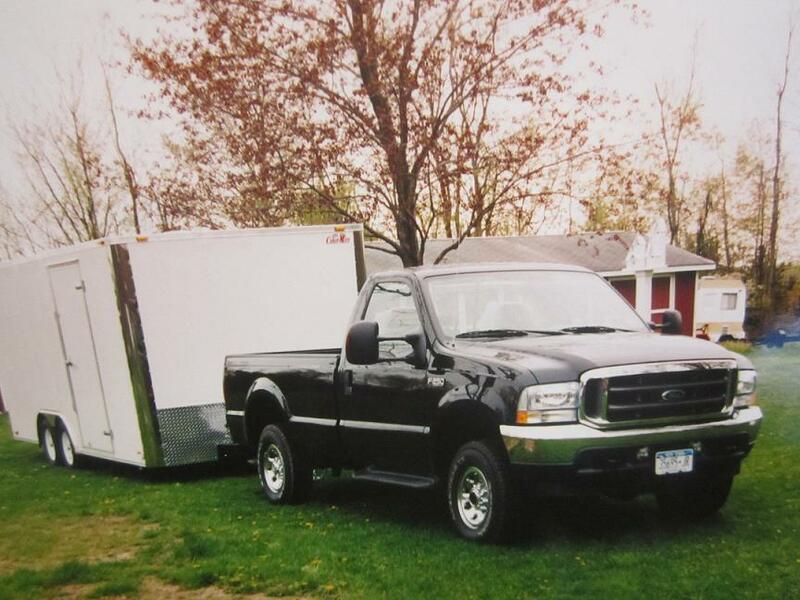 2006 Ford Turbo Diesel with 24' V-nose enclosed Motiv trailer with 12" additional height. Can handle the '42 sedan which is pretty heavy and any of the T's or A's. Blew one tire on the trailer, but was my fault - rolled over a curb. Simply changed and drove on. Had to replace the top vent which was plastic and turned brittle, replaced it with metal vent cover. Tows very nicely at 65-70 mph, can't tell the trailer's there. Also have a 24' enclosed Cargo Mate with a flat front and two sets of tiedowns for our Jeep and MBT trailer or WLA. Had a very scary blowout on the highway coming home after we bought it (came with the Jeep), old dry-rotted tire tore itself to shreds. All new tires now and tows fine, just not very fast with that flat front. 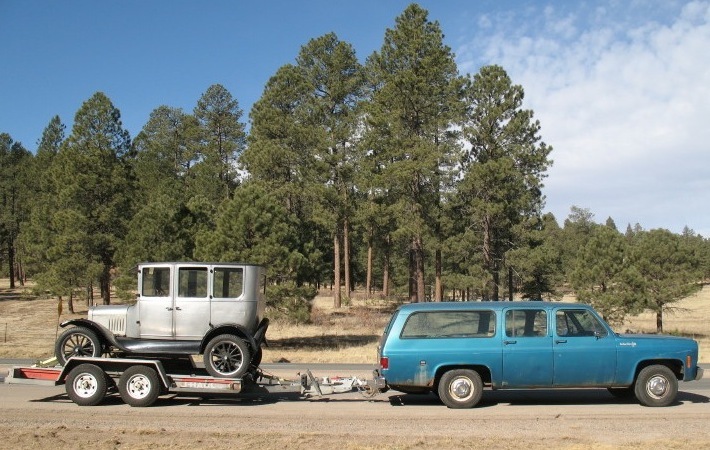 Be sure to check the towing capacity of the tow vehicle with the proper hitch. Capacity with a regular hitch is usually quite a bit less than with an equalizing hitch. You may not have enough capacity with a regular hitch, but will be fine with an equalizing. One thing we just discovered this year with both trailers, they need to be inspected yearly just like a car. 2011 Silverado 1500 with the 6.2L gas (403hp, 417ft-lbs). I need to install overload springs though to keep it from squatting so much though. This is my 2004 F-250 V-10, standard shift. After 10 years, it is still all original. Love this truck, but not pleased with the Cargo-Mate trailer. The pictures are Winter mode and Summer mode. For me, France, I used an enclosed trailer that I made myself. Now I sold it and bought a closed trailer brand "Black Castle" larger. 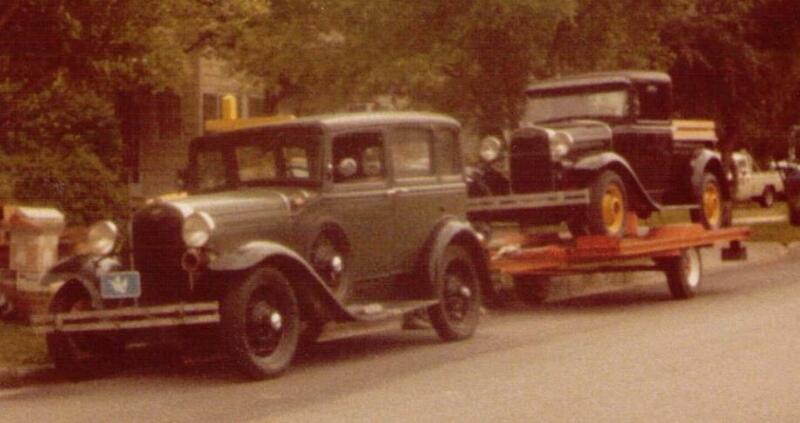 In the trailer of the photo, I could put a Model T, but not my other old car, a Delage. For the car, I always used SUV without any problems. After a Mercedes ML (gasoline), a Jeep Grand Cherokee (Diesel), now I use a Porsche Cayenne (gasoline). My tow vehicle is a 2004 F350 duallie. Lots of grunt to pull my trailer with a load. About 15 to the gallon unloaded and around 11 to 12 tugging the trailer. Expensive to own, like any duallie, but is comfortable and carries everyone and everything I need to. Challenge to park though. Spaces aren't as big as they used to be. I didn't have a T when I bought my enclosed trailer, so I though 7 foot walls would be sufficient. Should have gone 7 1/2. 28' Bendron with a V nose. I needed 24 to put my larger cars in as well as my wife's mobility scooter. The extra 4 feet was only 400 dollars, so that was a no brainer. Excellent trailer. 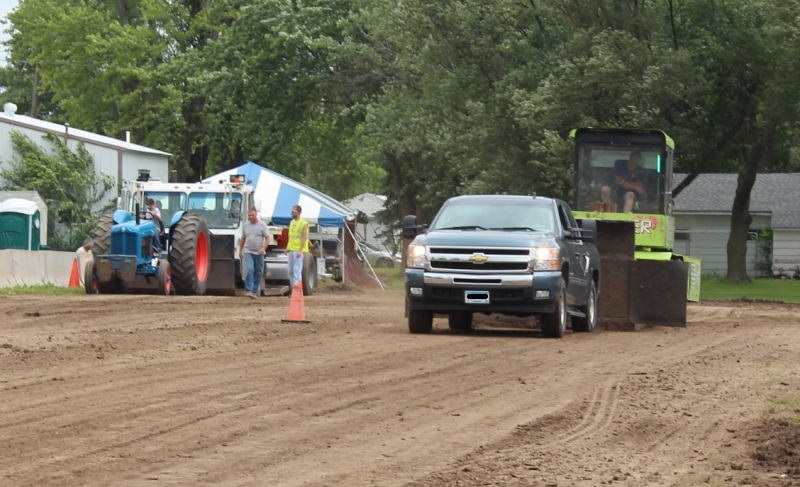 Just for giggles, I have attached a picture of my truck in action. 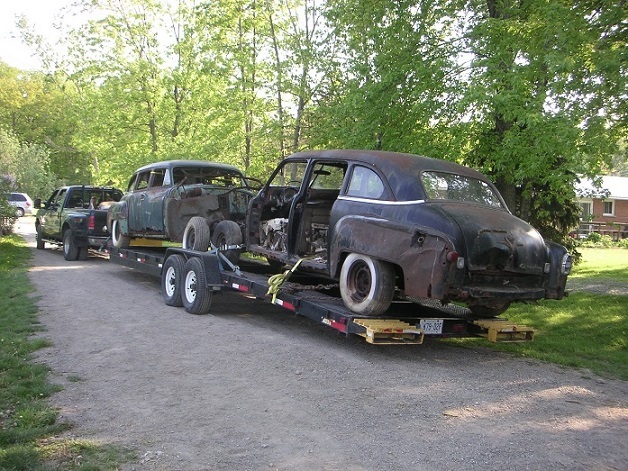 2 Crown Imperial Limo parts cars. After some 40 years of trailers I decided that was enough. Dumped the F350 dually power stroke and a 22' enclosed 5th wheel. Bought a 19' Jerdan slide bed roll back F-550 power stroke flat bed tow truck, and never looked back. Easy to park easy to drive just a long wheel base pick up, even my wife drives it with ease. I can load my cars in less than 5 minutes with the power winch, wheel bridle ratchet straps and I'm off and running. Unloading is just as quick roll the bed back and down roll the car back and on the ground. Before the National tour in Calgary I will have a waterproof vinyl cover stretched over aluminum frames all welded together. So my cars will travel in comfort and weather proof. As a side bar we have used the flat bed for everything from a furniture mover, garbage hauler, business mover and lumber truck for building projects. The best investment I have ever made for transportation and hauling. 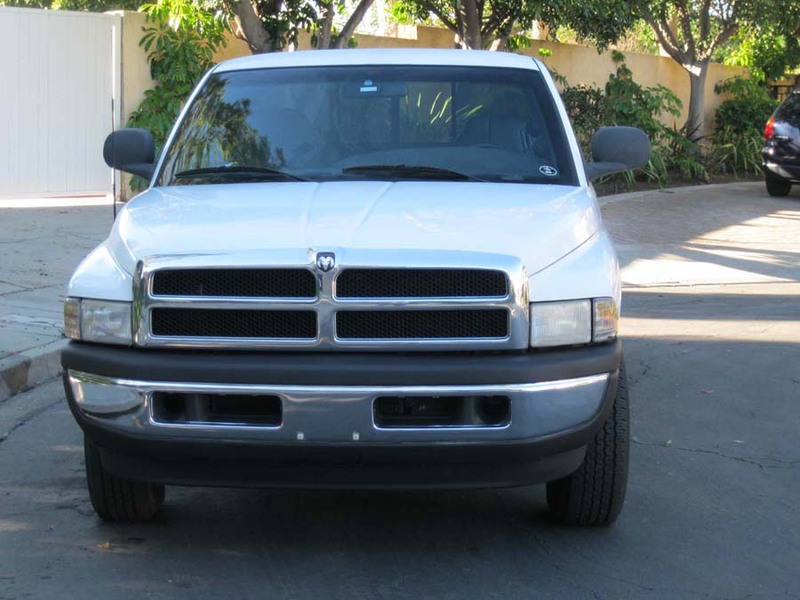 I use a 2014 Dodge Ram with 5.7 Hemi. Truck is 4x4. Trailer is a Stealth Intruder enclosed 8.5' x 18' x 6'6" inside height. No shortage of power and reasonable on fuel.